Winter car battery problems-Your car battery needs care from time to time? In general most car batteries fail in service during cold weather in winter time, There are many problems that could affect your car battery. 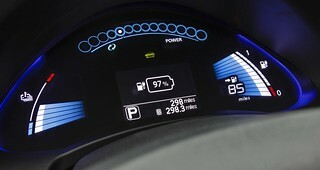 With new modern cars with all their electrics you will find that the battery will fail you suddenly, this is because of the large amount of electrics that the modern car battery has to handle, including engine management computers. In the past if were having freezing nights. Therefore, it would take a car battery a couple of weeks to actually fail. Thus, giving the car owner plenty of time to find a replacement battery. Hence, the problem is now the car battery will fail suddenly.Usually, just where you don’t want it to. Especially, when you are out and about. Many of our customers.Who have a flat battery, will call us out. Because they are stuck in some town centre or shopping mall. Now we say that the battery should be tested. Consequently, before the winter comes. Or at your regular service period. Predominantly, before the onset of Winter. Thus, we always test the battery and report back. Especially, if there is any signs that the battery may fail. Perhaps, in the near future. Most of our clients will respond to this and replace the battery before they get caught out. https://www.pellonautocentre.com/wp-content/uploads/2015/06/Logo_PellonCleanTrans.png 0 0 Eric https://www.pellonautocentre.com/wp-content/uploads/2015/06/Logo_PellonCleanTrans.png Eric2019-02-14 04:19:422019-02-14 04:19:42Winter car battery problems-Your car battery needs care from time to time? Whats Rubber- Without rubber latex there would be no tyres? Whats Rubber-Rubber tyres but what is it? Rubber is one of those everyday things that we take for granted. We all use things made of rubber in our daily lives. In my case, I see large things made of rubber, namely tyres. Most of the Worlds rubber is manufactured from a white runny substance that is extracted from trees in huge rubber plantations that are grown in the tropical regions of the World. The white substance is called Latex and is obtained from the small trees from slits in the bark that allow the latex to run into collecting cups. These cups are then poured into bigger vessels and collected. The collection of the latex is very labour intensive and requires thousands of people to work in the vast forest plantations that stretch for mile after mile covering many acres. This simple process marks the beginning of making tyres and all other Natural Rubber products. The latex has to move to storage factory facilities very quickly as it soon sets to a solid from its runny liquid form when it is extracted from the trees. The rubber is then split up to be used in separate products. When the latex is in the process, of being moved. Such as during transportation. An amount of Ammonia is added which stops the latex from setting, before arriving at the factory for processing. When the rubber reaches the plant, it is allowed to set into sheets and is cut to size for shipping. It is often referred to as “Gum Rubber”. Way, it is necessary to mix the gum rubber with other chemicals. These are usually sulphur and peroxide or bisphenol. This mixture improves the resistance. Preventing the dough from perishing. This process is known as Vulcanisation. Naturally, was seen as pioneering work by Charles Goodyear back in 1839. He also used carbon black. Hence, to improve the strength of the rubber mix that is necessary for the manufacturing of rubber tyres. Making tyres is a very complicated process of mixing the right chemicals and always needing and heating the rubber mixture using huge machines and would require another article, but I still think it is amassing how a tyre starts out in a rubber plantation as a white liquid and ends up like a tyre. Creating rubber in the tyre factory is carried out in several ways. Extrusion is one of the most common methods used this is when the rubber is heated and passed through large rollers to mould the rubber. The rubber is then heated and the forced at high pressure through a small hole this method can produce long strands of rubber. Another method of creating rubber is compression moulding. This is done under heat and pressure, however, this time the rubber is heated in a mould. The rubber is then left to cool in the mould, and the rubber creates a replica of the mould. The final way of which rubber can be moulded is a method of injection moulding. This is achieved by heating rubber again which is then injected into a mould and cooled to create the ultimate product tyres. https://www.pellonautocentre.com/wp-content/uploads/2015/06/Logo_PellonCleanTrans.png 0 0 Eric https://www.pellonautocentre.com/wp-content/uploads/2015/06/Logo_PellonCleanTrans.png Eric2018-11-04 16:19:572019-01-06 05:06:43Whats Rubber- Without rubber latex there would be no tyres? Batteriesontheweb now provides a comprehensive range. Of quality LUCAS batteries for all mobility applications. Including, Wheelchairs, mobility scooters, bath Hoist, stair lifts, etc. All these batteries have more than one key requirement. These Lucas batteries must be reliable. Because people depend on the applications day in, day out. Most customers of these products are disabled. Therefore need to get around from place to place.Hence, the batteries also help them to perform their daily tasks. Such as going to the shops or visiting their friends. So Mobility batteries come in many sizes. Thus, from 10 amp up to 150 amp.Depending on the type of vehicle that the person drives. Free all you do is remove your old dead one and fit the new one. These batteries come to you fully charged and ready to go.We know the quality of these products as being of a high standard, but we do give a 12 months guarantee with these batteries just in case there is a problem with the battery when delivered by the couriers. These AGM’s are filled with an Absorbent Glass Matting that mixes with the lead acid to form a paste, and this enables the battery to charge and recharge in much deeper cycles. In other words, you can run an AGM battery right down, and it will recover after charging, where a free running lead acid battery that is fitted to a car can only be discharged to 80% before it starts to break down and to fail. We source our products from the world’s leading mobility scooter battery manufacturers and provide our customer with the very latest in battery technology and innovation. All our mobility batteries boast quality, dependability and reliability as standard, and provide an extensive service and shelf life. Now that our internet car batteries site has taken off, I am always on the lookout for a beautiful well kept old cars or other transport related items to use on my blog. I have been surprised at the things that I see driving around the UK. Either delivering or sorting people’s battery problems out. We trade on the internet this takes me all over the country. I have now developed an interest in vintage cars and their history of course along with other exciting motor things that I may come across. The latest cars I came across were in a car park in Folkstone Kent. The cars were 1948 Triumph Roadsters because there were two I presume that they were going to some show. These cars were probably running on Six Volt Black Rubber Casing, later cars started using 12 Volt Battery similar to what we use today. These cars were primarily 1776 cc overhead valve engines with a single SO carburetor. They had a three-speed gearbox which was column change and could reach a maximum speed of around 80 mph. The car was only a three seater and had a detachable roof that could be removed on a sunny day. Triumph as a company was bought by Sir John Black owner of Standard Motor Co and was interested in promoting the Triumph brand as an upmarket car to compete with the Jaguars. The Roadster was the first car built under the Standard name, in their factory in Coventry England. In my opinion they certainly did a good job and the car still looks a great car today. Hi I would like to introduce myself. I have worked in the Garage and tyre industry now for 40 years. I worked for a couple of national tyre companies before starting my first business. I now own a company here in the UK called Pellon Tyre and Auto-centre, and I am a keen blogger about anything to do with cars and their related products that will help my business. Car Will Not Start-It Could be Your Cars Battery is flat and needs a replacement. In these days of busy motorists having to get up to work earlier than ever, there is nothing worse than turning the car key and strange noises come from under your vehicle’s bonnet because of your CAR Won’t START! Or even worse still no noises at all. This usually happens on the first cold day of Autumn, and here in the UK, this is usually October. This October has been no exception. With some motorists calling us because their car will not start. This occurrence is an all too common phenomenon. Thus, even if you maintain your car at regular intervals. Therefore, there is no real way of telling when your engine will let you down. (unless your service centre gives you a 12 Volt Battery test report and you act on the findings).So, you can be sure that it is when you less expect it to, or you are on your way to that special occasion and when you turn the key, nothing happens, just a loud grating noise or a whirring sound from under your bonnet and your CAR Won’t START. You always fear the worse, but we find that on 90% of the time, then the problem is usually simple. The system that enables your car to start is a relatively straightforward thing to understand. In most basic cars the ignition system works as such. When you turn your ignition switch, your batteries stored voltage travels to the ignition switch, it then goes to the next component which is the starter relay and the starter motor. This voltage then spins the starter motor which engages its gears into the gears of the flywheel, thus turning the cars engine over. If everything else in the engine is in good working order. Hence, the car has enough of the right fuel in the tank, then the car will start, and off you go. Other less common reasons why your car may not start, could be no fuel, not enough spark to your engine cylinders, loose battery terminals, damaged starter wires, but it will be your battery that fails. In general the older your car, the more chance you have of the battery letting you down. Japanese car batteries usually last for about five or six years from new and European cars three to four years, so if your vehicle is of this kind of age you could expect yours to fail. We at Pellonautocentre test batteries when your car has a service, reporting the battery condition on the service checklist, most customers act on this recommendation and will have a new one fitted, so alleviating any following problems. https://www.pellonautocentre.com/wp-content/uploads/2015/06/Logo_PellonCleanTrans.png 0 0 Eric https://www.pellonautocentre.com/wp-content/uploads/2015/06/Logo_PellonCleanTrans.png Eric2018-09-23 17:19:392018-12-31 14:11:00Car Will Not Start-It Could be Your Cars Battery is flat and needs a replacement. Of course, this is good news for the Tyresafe organisation . So, as they strive forward in their drive to make Britain a safer place. Hence, by giving advice and safety information to educate. Thus, the motorists in their quest for safer tyres . Including the need to check your tyres and tyre pressures at regular intervals. Tyresafes campaigns are beneficial to the members. Enabling them to participate in any tyre and road safety events. Coming from Tyresafe as the year goes on. Falken tyres, like many other companies do will be able to tie their own campaigns. Consequently, with the ones from Tyresafe. Making a coordinated attack on the public about tyre safety and part worn tyres. From single depot businesses like my own company. So, to the giant tyre manufacturers such as Falken tyres from Japan. Tyresafe was originally founded in 2006 and in that period road related deaths resulting in tyre related accidents have fallen by 30%, a great achievement from the Tyresafe safety campaigns across the years. In fact Tyresafe have now been able to attract other types of organisations and not just garages and tyre outlets, but such people as car manufacturers and local councils along with the emergency services have now joined the cause. The Falken tyres director that is charge of Ireland and the UK recently explained that tyre safety was at the core of all that the Falken tyres company stood for and firmly believes that activities such as the tyre safety study that was recently carried out a t a primary school had made a real positive difference to society and this combined with the tyre safety objectives in the future will be beneficial to both companies, which is exactly my own sentiments and the reason why my own company joined Tyresafe. Falken Bring out new Azenis FK453CC Tyre . So, for an in depth review about this new tyre please visit the Moto Verso web page. Hi I would like to introduce myself. I have worked in the Garage and tyre and Battery business now for 40 years. (METRO) — Few things can be more frustrating than jumping into the driver’s seat on a frosty morning, turning the key in the ignition and failing to hear the engine roar to life. Car batteries Care-Why do your Car Batteries fail in the Winter? As silly as it may seem many drivers hardly use their cars. Hence, in the winter months. Indeed some drivers lock the cars away in the garage, (if they have one). This is where most scrap car batteries end up? but 95% of them are recycled a great achievement? Nothing can be more stressful. As a result trying to start your car on a cold winters morning. Therefore, only to find that your car wont start. Of course, it is one of the saddest sounds that you as a driver will hear. When the battery just makes a slow grinding noise. Hence, made by the starter motor. As it tries to start up your car. Normally the engine just zips up. Hence, at the turn of the key and off you go. So but not this morning, it’s frosty and -2 C or bellow. Therefore, the car will not start up. This is the scenario .That thousands of motorists a day will experience. Of course, a bit of knowledge goes a long way. Setting out a few facts can help the motorist understand. Consequently, a little more about their 12 Volt Battery car batteries. Including,how they respond to the climate. The two extremes of weather conditions, the cold and the heat will affect your car batteries performance. Here in the UK we rarely experience excess heat, so I will concentrate on the cold. In cold weather the chemical action in the battery will be slowed down and I have actually seen the battery liquid (sulphuric acid) frozen solid. off keeping your car in a garage if possible, either in really cold weather or overnight. What happens is that although it may be cold in the garage, the heat from the engine when the car was run the day before, will act as a heater for the battery as the engine compartment will still retain the heat. If the battery is over five years old then it should be replaced with a new battery, most car batteries will fail after the five year period, and this is what we have found over the years, also imported cars from the Far Eastern countries such as Japan, China and South Korea are imported with batteries that are lower specifications that the ones made for the European market, these batteries do not stand up to the cold weather and usually fail early on in the cars life. The best thing that drivers can do is to have their car battery checked before the onset of winter and replace It if necessary, but in really severe cold as experienced in the USA recently, then the battery could still fail without further protection from the cold. Car batteries Care-A few things to look out for when buying your new battery. Make sure that it is the correct battery for the car and has the same power, the same number of amps and cold cranking amps. It will be all right to go bigger if it will fit the cars battery compartment as long as the battery has the same voltage, usually 12volts and 6volts on classic cars and vintage cars. Here are a few more tips if the weather forecast is for really cold conditions. You can use a battery blanket, to cover the battery and stop it freezing. You could also use a trickle charger, because the battery will retain some heat as the battery is been charged up, and stop it from freezing. If your car is stored in the garage for a period of time then disconnect the battery and try to keep it on a trickle charger when the battery is in storage, you can buy cheap intelligent chargers now that will do this job. Hi I would like to introduce myself. I have worked in the Garage and tyre and Classic Car Battery business now for 40 years. Where do Waste Batteries go to die? Batteries are essential to our daily lives. They are everywhere — in our cell phones, lap tops, iPods, kitchen appliances and garden tools. 95% of waste batteries are recycled. re-processing plant such as the one used by Exide Batteries. Lead acid Waste Batteries are one of the success stories in the world of re-cycling. Over 95% of the old car,truck and tractor batteries are sent to be re-made into new battery products. Almost all black coloured batteries are made from re-cycling old Waste Batteries a very worthy record. The complete battery starts out at one end of the process and ends up at the other end as part of a new battery. Even the plastic is broken up into very small pieces and then mixed with new material before been made into a new battery casing. These re-cycled casings (battery boxes) are always made into black batteries because of the mixture of colours, any white or opaque coloured 12 Volt Battery has been made from new materials and therefor has not been re-cycled. In my opinion this is great news, and makes the lead acid Waste Batteries greener than people think, which is more than we can say about the lithium-Ion batteries . The lithium-ion battery has not in my opinion stood the test of time regarding both safety and the potential for them to be re-cycled. There is some news though that the lithium-ion batteries that are on the electric cars at the moment, could be used for storing solar energy in a domestic situation.